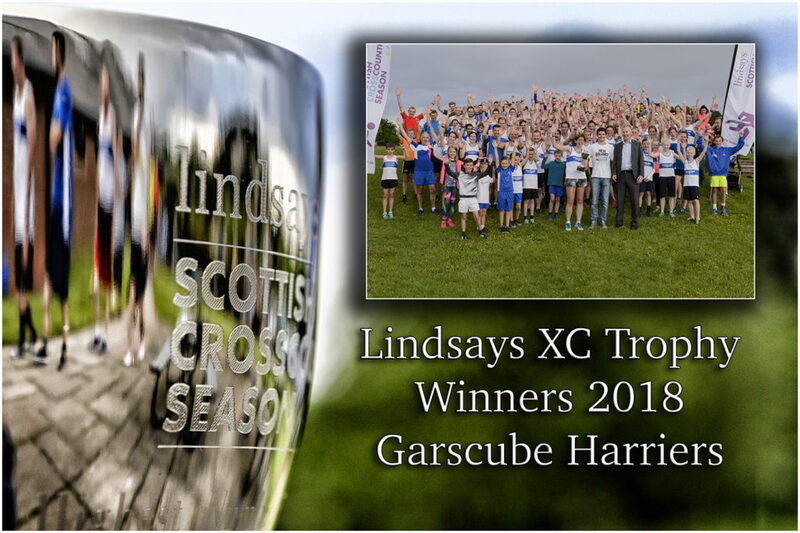 Garscube Harriers land the Lindsays Trophy! Garscube Harriers are the new holders of the Lindsays Trophy – awarded to the club with the largest number of finishers over three National Championship XC events for 2017-18. It’s a remarkable effort by the club based in the north-west of Glasgow as they finished fifth in 2016-2017 when Giffnock North successfully defended their trophy. This time, holders Giffnock held an advantage heading into the Lindsays National XC at Falkirk but Garscube galvanised no fewer than 106 finishers at Callendar Park to conclude the season with 230 runners and top the table by 16 runners. As well as Falkirk, the Lindsays Trophy for 2017-2018 also took in the Lindsays National Relays at Cumbernauld last October and the Lindsays Short Course Champs at Kirkcaldy last November. 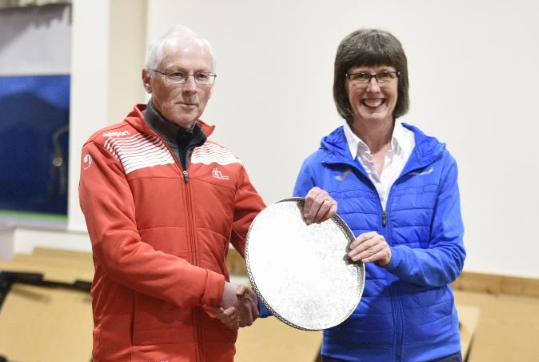 Callum Hawkins, twice a winner of the Lindsays National XC Senior Men’s title, helped scottishathletics make the presentation at a special celebration training night for Garscube on Thursday. In a hugely positive aspect for the sport, our 2017-18 table reveals that no fewer than 102 different clubs from the length and breadth of Scotland had at least one finisher over the three XC events. Last year’s tally was 75 different clubs so the growth in terms of reach is obvious. 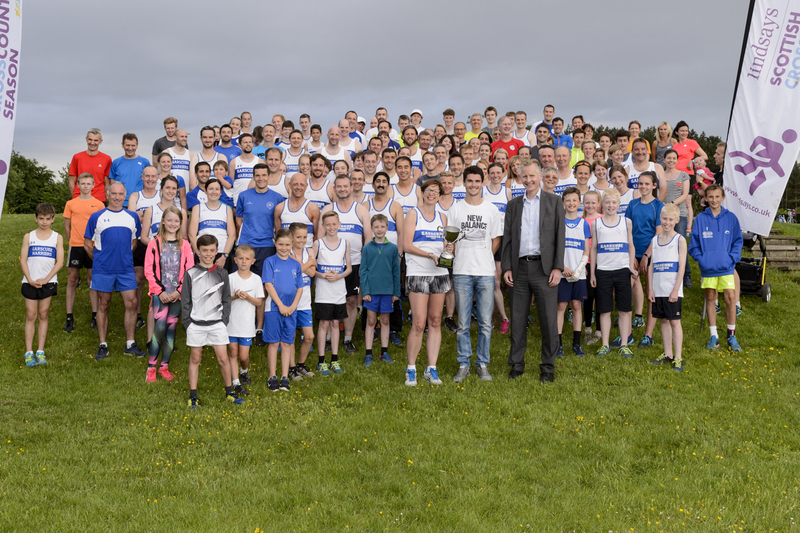 Edinburgh AC won the Lindsays Trophy in the first year of our agreement with the legal firm, in 2015, and finished third this time around with Central AC and Cambuslang Harriers completing the top five. 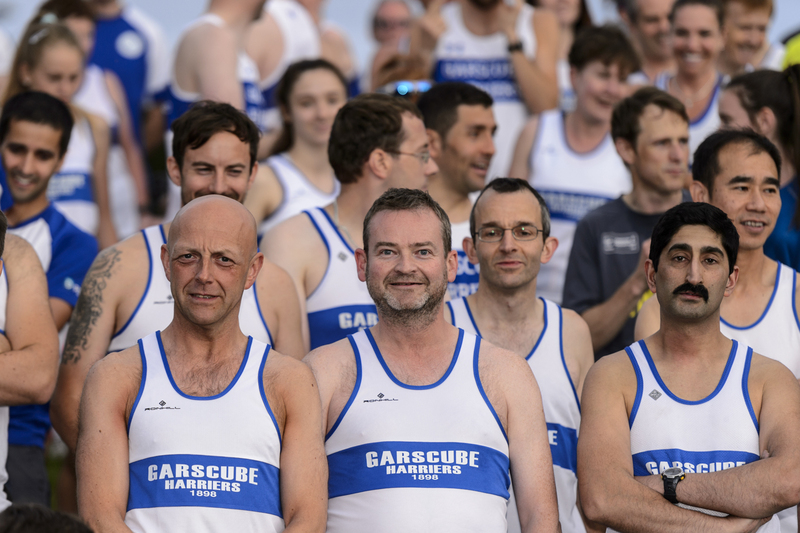 ‘I would like to congratulate Garscube Harriers on winning the Lindsays trophy this year, in the face of stronger competition than ever,’ said scottishathletics chairman, Ian Beattie. Ian is Chief Operating Officers with Lindsays. ‘We saw a significant increase in the number of clubs featuring across the three events that make up the Lindsays Cross Country series, from 75 last year up to 103 in 2017-18. ‘I was also delighted to see the growth in finishing runners per club, with 13 clubs recording 100 or more athletes participating in the events which qualify for the trophy. 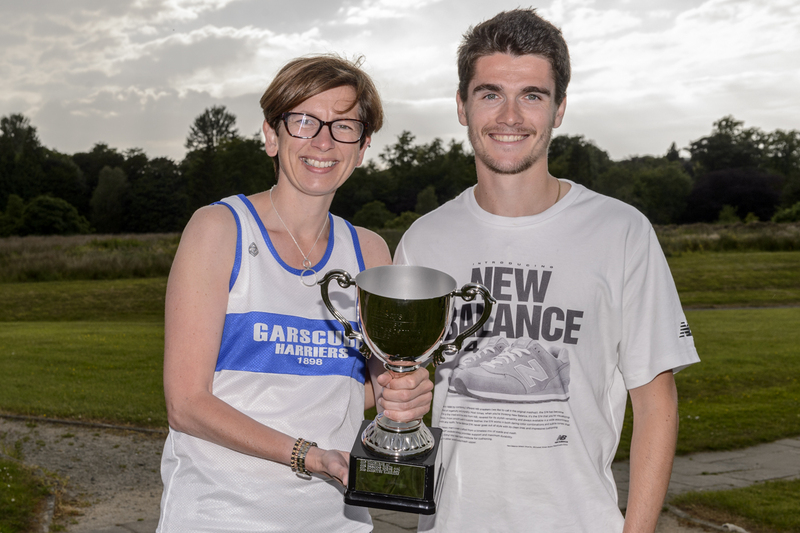 Garscube Harriers President Jill O’Neil said: ‘We are absolutely delighted to win the Lindsays Trophy trophy for the first time. ‘Every year we make a huge effort to encourage all of our athletes out to the cross country to compete, spectate and support and it’s fantastic to be recognised in this way. 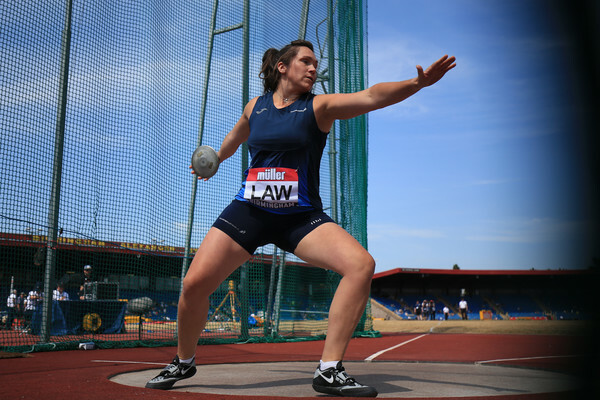 ‘The National Championship events across the season encapsulate all that is good about athletics in Scotland right now and we thoroughly enjoy being part of them. 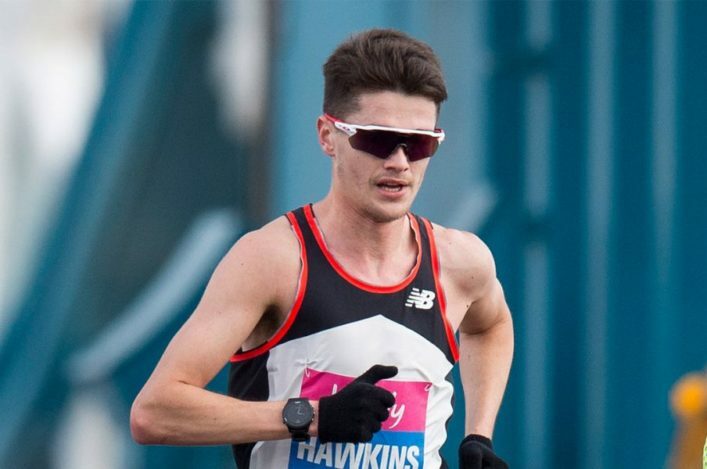 Callum Hawkins has won countless XC titles in Scotland and could well feature again next season with his schedule not yet decided. 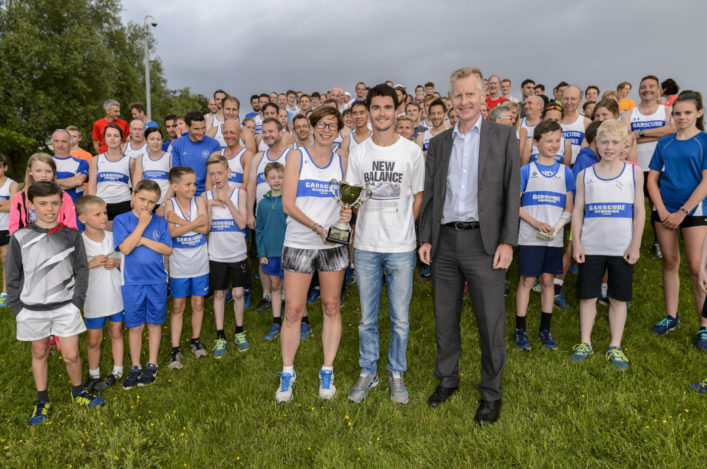 ‘I presented the Lindsays Trophy last year to Giffnock North and was more than happy to get involved again this year for Garscube Harriers because I think cross country is important to the sport in Scotland,’ said Callum. ‘It was how I started out, really, and looking back that’s where I had early success – rather than in road running. My first Scotland and GB and NI vests came via cross country. ‘What’s happening at Garscube is a great example of club development in Scotland. ‘They’ve gone from fifth last year in the Lindsays Trophy table for finishers to go and win it this year and for any club to manage to find 106 people to race the Lindsays National XC at Callendar Park really is a great effort. It’s credit to them as a club and the coaches and team managers because that’s a huge representation. ‘I wasn’t able to race there this year with the Commonwealth Games coming up but, having been at Falkirk so many times in the past, I think there’s no doubt it’s an occasion where you can really feel the growth of the sport and sheer number of different club vests on show is always good to see.